A Pessimist Is Never Disappointed: Play New Tunes From Standard Fare Here! Coming on like Ooberman trying their hand at "Town Called Malice", here's Sheffield's Standard Fare with "At The Lake" and a few other new tunes. The tunes were recorded for the WIAIWYA label -- look it up. 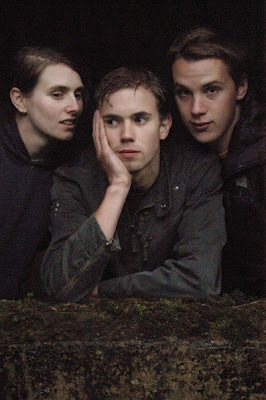 "At The Lake" bounces along with a good deal of indiepop joy, plus there's a new version of "Girlfriend" here, and another cut -- "Keeps Me Going" -- that charms as well. For those of you who've not done so yet, please pick up the band's latest record Out of Sight, Out of Town, out now on Melodic.